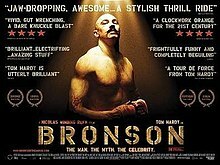 It’s not usual for me to comment on the DVD of a film in the stead of reviewing the film, but for Bronson, which is a pretty good movie, carried by a magnetic and awe-inspiring performance by Tom Hardy, a philosophical point on DVD extras seems appropriate. 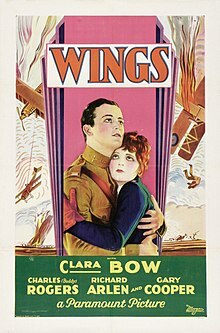 It has always baffled my why so films shot in English but with a foreign accent — British, Australian, etc. — show up in America without English subtitles. Just because we’re speaking the same basic language doesn’t mean that language is easy to understand when spoken with a different accent. See. e.g., Bronson. Just because this series is called ‘Terse Movie Reviews’ doesn’t mean I necessarily have to be negatively critical — in fact, I don’t have to be critical at all. And with Robot & Frank, how can you possibly be? 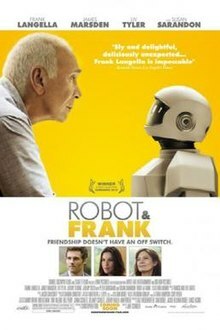 Wonderfully charming, with great, subtle work from Frank Langella — get to the end of the film and you see how subtle it really was — that is also funny, tender, and a bit sad. And in a way, it made me think of Eternal Sunshine of the Spotless Mind and the notion that, if two people are really meant to be together, they’ll find each other, no matter what’s happened. Easily the best film about two people you want to punch in the mouth. Especially the wife. The husband? Not as much. I actually feel sorry for him, but since he’s her enabler, he has to get one. Just for good measure. 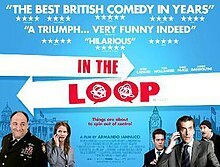 I came to this movie after digesting the first season of Veep over the course of two days with my wife on DVD — Veep and In the Loop share the same creator, if you didn’t know. Anyway, think of In The Loop as being like Veep, only with a different cast of characters, and where the stakes aren’t whether the vice-president is pregnant or getting a clean jobs bill passed — in this instance, it’s war. For those who haven’t seen Veep, think of In The Loop as being The Office — American or British version — only more insane, and instead of selling paper, they’re selling war. Also, as a creepy, there-are-some-thoughts-you-should-keep-to-yourself side-note — definitely into Anna Chlumsky. I know this is going to sound absurd, in the same way as saying that of all the mass murders in the world, one of them is not as bad as the others — because can any mass murderer truly be better or worse than another? — but seriously, Pain and Gain might just be the best movie Michael Bay ever directed. In the past I’ve had a mixed relationship with Michael Bay — see this for proof — and I had good reason to feel the way I did. After all, of late he’s done nothing to really inspire me to change my mind. I mean, with three straight Transformers movies to his name, it was starting to look like he’d basically given up any shred of integrity he ever had. If he ever had any to begin with. 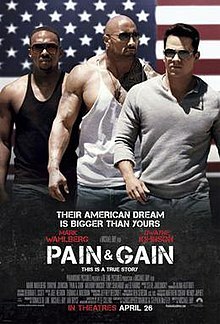 But with Pain and Gain, which I only saw because the tickets were basically free, I was pleasantly surprised — I guess that’s the advantages of lowered-expectations. Sure, it’s got all the usual over-the-top excess and fetishization of women and cops and guns his other movies have, but for once Bay’s style and the subject matter come together perfectly. And as much as I loved The Island, and as much as I liked Pearl Harbor — I’m not ashamed to admit I liked it, even if I might’ve been the only one — Pain and Gain might just be better than both. It’s energetic, it’s witty, it’s fast paced, has chemistry and charisma to spare, all held together by deliriously-unhinged and intensely-watchable performances from Mark Wahlberg and Dwayne Johnson, and catchy supporting turns from Stanley Tucci and Rebel Wilson. My only issue: it’s too long. Sordid excess has it’s limits and in this case, clipping out about ten minutes of the film wouldn’t have hurt it at all.